Southampton has received over £10.4 million to support doctoral training activities. The funds will come from the Engineering and Physical Sciences Research Council (EPSRC) through its Doctoral Training Partnerships and will support students entering training in the academic years beginning October 2018 and October 2019. Southampton has been awarded over £10.4 million to support a range of activities, bursaries and studentships to support PhD students across a range of disciplines. 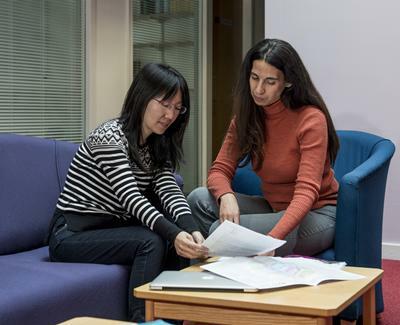 When combined with other sources of funding, the University currently hosts nearly 1,100 doctoral students working within the EPSRC remit. The University hosts and participates in a number of Doctoral Training Partnerships (DTPs) and Centres for Doctoral Training (CDTs) which are helping to train 2,600 research students with the skills they need to address some of society’s biggest challenges, including climate change, energy, our ageing population and high-tech crime and supporting the UK Industrial Strategy. Southampton’s successful DTPs include SPITFIRE which creates an innovative multi-disciplinary experience for the effective training of future leaders in environmental science, engineering, technology development, business and policy. SPITFIRE – the Southampton Partnership for Innovative Training of the Future Investigators Researching the Environment – brings together a large number of international collaborators including major universities, research organisations and industrial and policy partners. The University is also part of a DTP in Food Security with the universities of Reading, Surrey and Lancaster and Rothamsted Research. PhD students funded through this partnership will address the challenges of feeding the global population healthily and sustainably. Southampton is also engaged in the South, West and Wales Doctoral Training Partnership which brings together eight universities internationally recognised for the excellence of their research and postgraduate supervision in the humanities, in languages and the creative arts. The partnership also brings together a network of prestigious international, national and regional organisations representing the arts, heritage, media and government sectors. This latest round of funding is part of a £184 million investment by the UK government into science and engineering research.